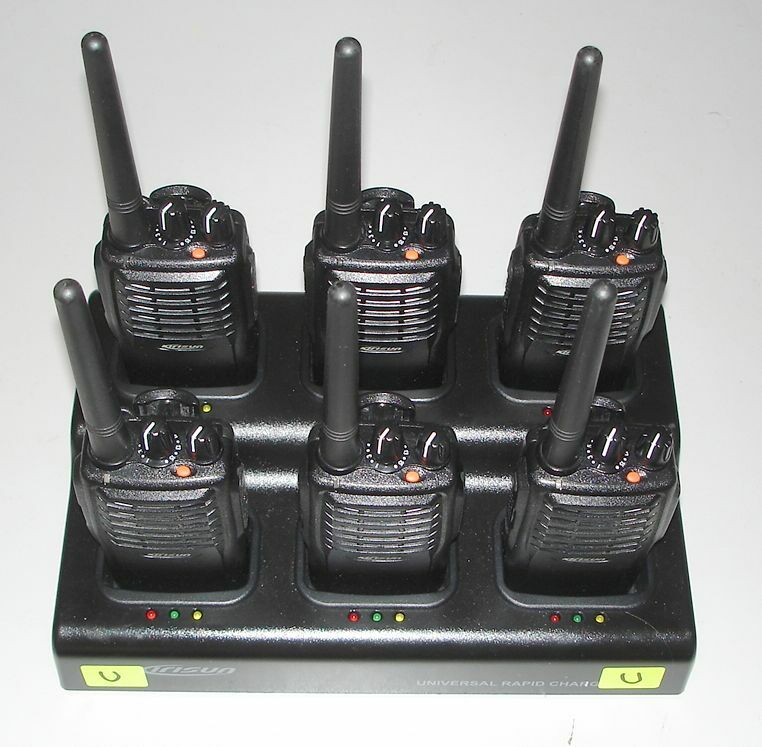 Organising an event of any sort and need to hire out 2-way radios? It could be a festival, a sports tournament, a fair, a march or demonstration, conference, concert, a film or video shoot, event security and stewarding, a community fete or open day, music festival, concert or whatever else. Any number of 2-way radios can be hired and can all communicate together in a group, and our radios have 12-16 channels, so that different channels can be assigned to groups of users by job role. Each 2-way radio that you rent comes complete with rechargeable battery and "drop-in" mains charger unit (or multi-slot charger, depending on how many radios you hire). Our standard 2-way radios have a range of 1 - 3 miles in open country, less amongst buildings, certainly enough for a park, sports stadium, conference centre, venue etc etc. You don't need to worry about licencing issues when you hire 2-way radios - you will be using our licence, so you don't need to do anything at all. We also now hire and sell digital two-way radio equipment. We have a new type of two-way radio for hire, that uses the mobile phone network to allow communication over any distance (provided that there is mobile phone coverage). These two-way "network radios" are ideally suited for events spread out across towns and cities, where conventional walkie-talkies' range is limited by buildings, and where there is usually good phone signal.